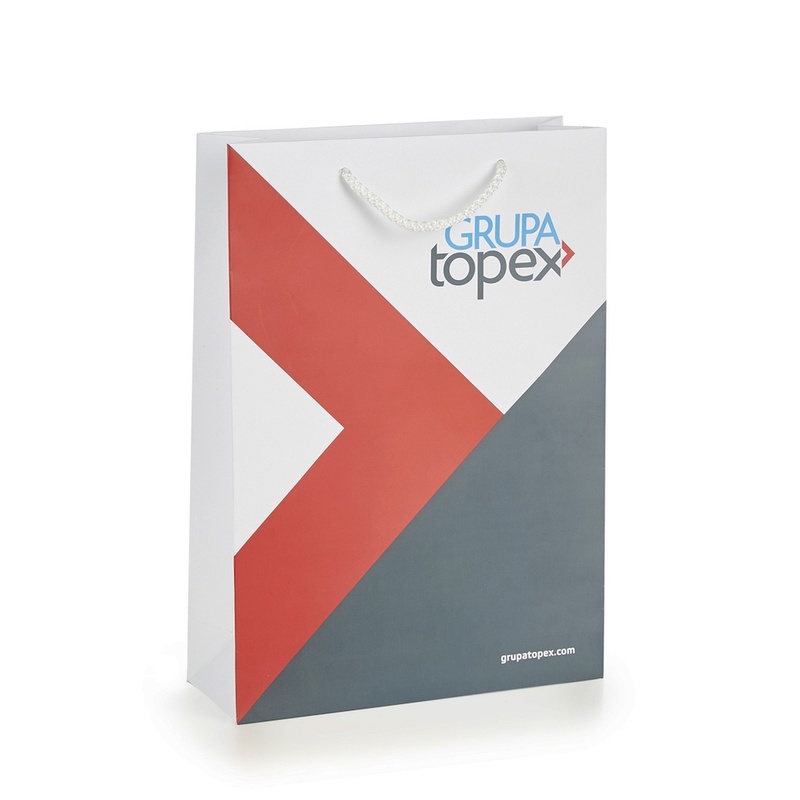 This custom printed medium size Laminated Paper Bag is available in a matt or gloss finish and with a choice of stylish handles including rope or ribbon. Choose from a huge range of sizes to suit your needs. Made from high quality 200 gsm paper with reinforced card base and sides, these bags are strong and reusable as well as eco-friendly.